Need an easy, tasty lunch? 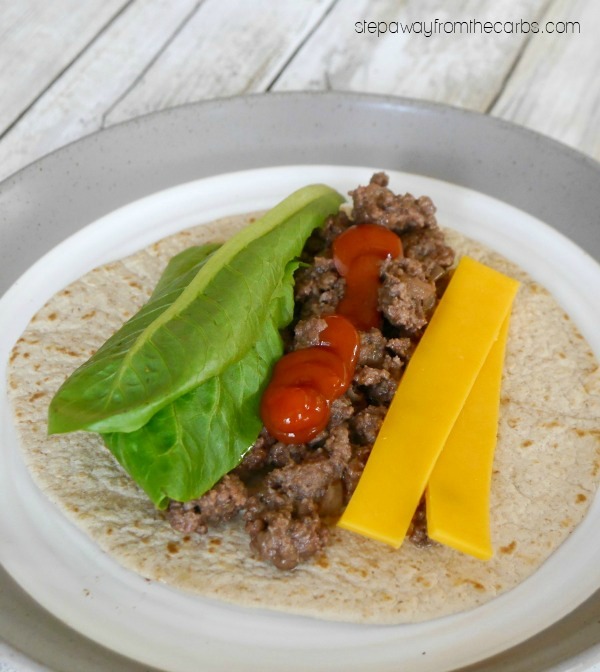 Try these low carb cheeseburger wraps! A keto recipe that the whole family will enjoy! I tried out this recipe because I had some leftover ground beef and I fancied eating a burger. But actually when I came to cook, I couldn’t quite bring myself to form the patties, and just cooked it straight in the pan. 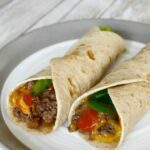 As you probably know I *love* my low carb wraps – so it was easy from there to add strips of sliced cheese and ketchup. Ta-da! The Cheeseburger Wrap! 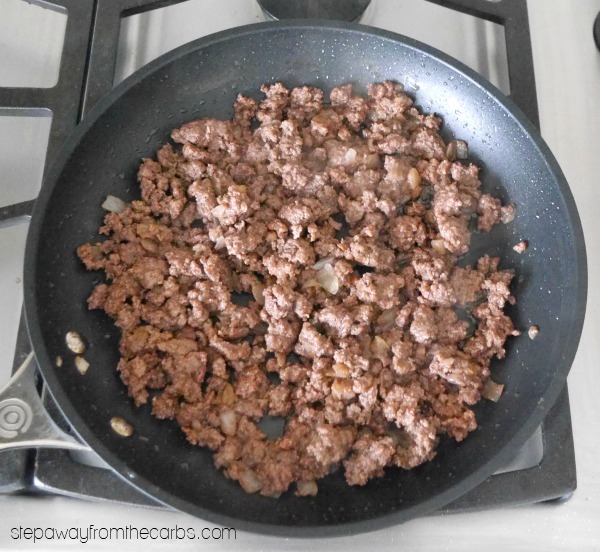 Heat some olive oil in a skillet, and add chopped onions and ground beef. Cook until the beef is fully cooked. Drain, and season the meat with salt and black pepper. At this point you could also add a little canned tomato sauce. I wouldn’t open some especially for this recipe, but if you happen to have some leftover then it does round out the flavor. Divide the mixture between four low carb wraps (I’m using Mission Carb Balance Fajita size right now – 3g net carbs per tortilla). Top with strips of sliced cheddar cheese, lettuce, and add some low carb ketchup (Walden Farms is actually zero carb, but I am currently enjoying Heinz Reduced Sugar Ketchup which is 1g net carbs for one tablespoon). Check out see my full collection of low carb ketchup options – both homemade and store-bought! Roll everything up, and enjoy! Alternatively, why not set everything out and let everyone create their own! 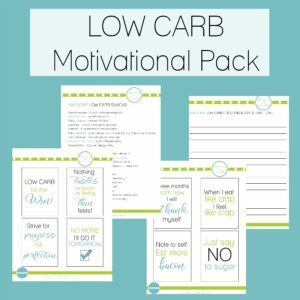 Oh – and if the other members of your family aren’t following a low carb diet – simply provide regular tortillas for them instead! Heat the oil in a skillet. Add the onion and beef, and cook until the beef has cooked through. Drain, then season with salt and pepper and add in the tomato sauce if using. Divide the meat between four tortillas. Add strips of cheese, lettuce, and the ketchup. Roll up, and enjoy! Alternatively, let everyone create their own! 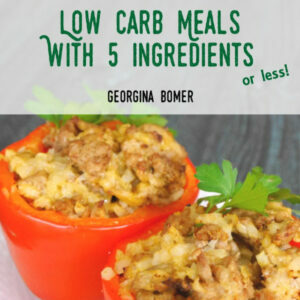 Recipe adapted from Six Ingredients or Less: Low Carb by Carlean Johnson. I love super easy recipes like this! It sounds delicious! My husband would be all over this. He loves his ground beef and I can’t keep the man away from tortillas and wraps. Easy and perfect. Thank you. Low carb tortillas are awesome! 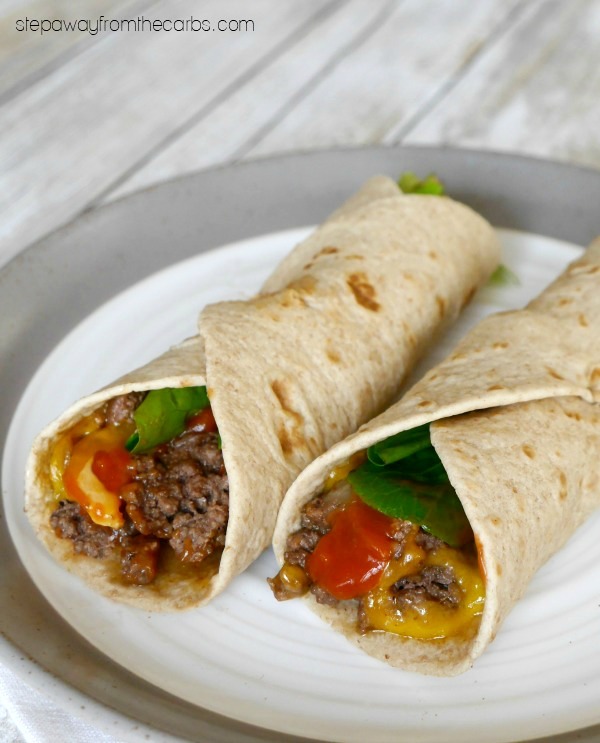 I love the idea of using them for a cheeseburger wrap! Oh, yum. You can’t ever go wrong with a good old cheeseburger. Love this deconstructed version. I’m a big believer in making life as easy as possible! This looks like a great easy weeknight dinner! Thanks! Good job thinking outside the bun! These look delicious and I can’t wait to try this recipe! After filling, I toasted them in a non stick pan so the cheese melted. Delish!